Posted by Stuart Herbert on July 8th, 2011 in Desktop Wallpaper, Travel Photography. 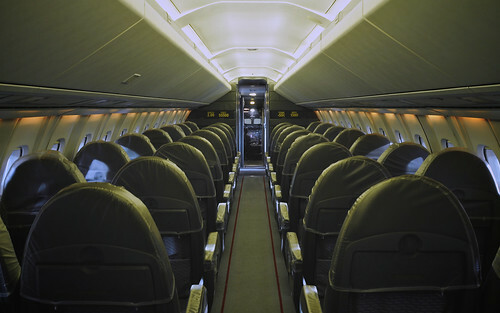 To finish this week’s theme, here’s what the passenger cabin of Concorde looks like. Kings, queens, lesser royalty, celebrities, sports stars, rock stars, business high-flyers … she carried them all throughout her service life, and this is where they sat. It is definitely one of my regrets in life that I never thought to fly on her when she was in service, always assuming that she’d remain in service for many more years. She is much missed, and her retirement, along with other icons of flight such as the SR-71 Blackbird and the US Space Shuttle, brings to a close the peak of aviation for our civilisation. I hope you’ve enjoyed this week’s theme. I’ll be back next week with a new theme to share. Have a good weekend!